In 1947 Laura Knight rented the stables just outside the house of Professor J. R. Allardyce Nicol ( 1894 – 1976), to become her local studio, which is situate halfway up the Hereford Beacon just off the A 449 past British Camp, on the way to Ledbury. At such time, from these studios the artist gained fantastic views of the Welsh mountains and the nearby countryside scenes . 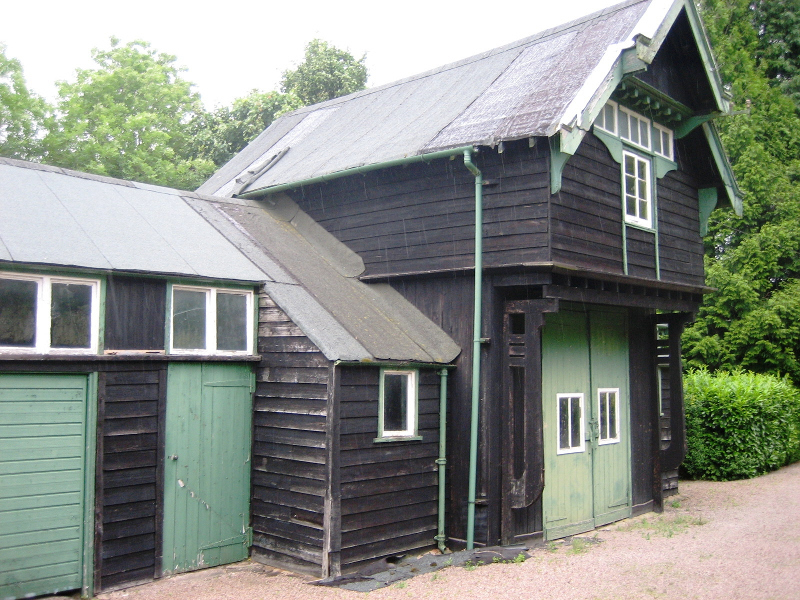 Many famous landscapes of the artist were painted from this studio as well as well known portraits. In recent years sycamore and other trees have been permitted to grow obliterating the fantastic views once experienced from the studio.